While the meat casino has been a recent hot topic in the cattle markets, this week we’ll spend some time on international trade. This is a topic my colleague, Anton Bekkerman, discussed a few weeks ago. While there are many differences between the current presidential candidates, one similarity (though to varying degrees) is that both Clinton and Trump agree that they would not sign the Trans-Pacific Partnership (TPP) agreement into law. To complicate matters, Senate Majority leader Mitch McConnell (R-KY) recently stated that the TPP, which was once thought to be voted on in the Senate during the lame duck session, would likely not be voted on until the next administration takes office. 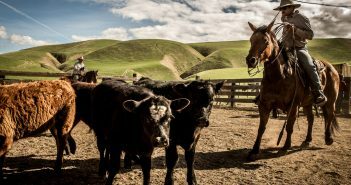 This disdain for the TPP has not been found within many of the largest commodity organizations in the U.S., including the National Cattlemen’s Beef Association and the American Farm Bureau. With this in mind, let’s talk a bit about the importance of trade to U.S. beef production. Over the last 5 years, U.S. Beef has exported and imported an average of around 10% of total U.S. production. This is a dramatic increase since the mid-1980s, where the U.S. exported around 1.5% of total production and imported around 8% of total production. This period of increased trade has included the passing of NAFTA in 1994 and the US-Korea Free Trade deal in 2010. Over the last couple of years, Japan has become our largest beef export destination, ahead of other major trading partners Canada, Mexico, and South Korea. Australia has become our leading country of origin for imported beef, followed by Canada, New Zealand, and Mexico (See figures below). This brings us to the TPP, which is a trade agreement between Australia, Brunei, Canada, Chile, Japan, Malaysia, Mexico, New Zealand, Peru, Singapore, the United States, and Vietnam. It is notable that some of our major trading partners in beef are included in this deal, most importantly Australia, Japan, and New Zealand. As part of the TPP, Japan has agreed to reduce duties and tariffs on a range of beef and beef products, including a tariff reduction from 38.5 percent to 9.0 percent on fresh and chilled beef over the next 16 years. This implies that beef in Japan, our largest beef export destination and the third largest importer of beef in the world (behind only the U.S. and Russia), will be relatively cheaper for Japanese consumers. The U.S. will then agree to eliminate beef import tariffs, which are as high as 26.4 percent, over the next 15 years. While lower trade barriers will likely increase our ability to import lower priced beef from Australia and other trade partners, ranchers in Montana are more likely to benefit from the increased beef demand that comes from expanding into markets that value high quality beef. The TPP appears to be part of a larger commitment to open free trade for U.S. agricultural commodities. Each of these agreements are important to maintain competitiveness for Montana ranchers by expanding future demand for U.S. beef products. Australia currently has a tariff free beef quota of 418,214 tonnes. When our price was good for American farmers in 2015, Australia dumped their complete quota on the United States. According to the graphs in this article our imports far exceed our exports of beef. It seems as though Australia already has a very lucrative trade agreement with the United States. 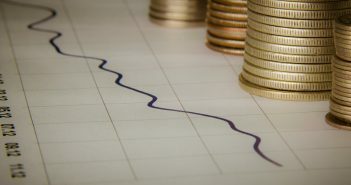 The huge influx of beef from Australia puts downward pressure on beef prices in the United States and consequently a downward pressure on feeder cattle from the American farmers. Exports need to increase by over 600 million tons in order to make up for our trade deficit in beef. Thanks for your comment. 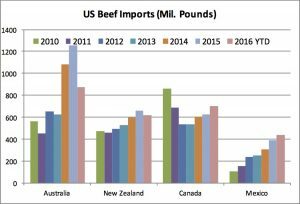 As you point out, Australia already has a trade deal with the U.S. that has allowed them to export lower priced beef into the US. This is likely to imply that New Zealand is where growth in US imports are expected to occur as a result of TPP. The benefits from lower tariffs to Japan are, by far, the most important part of the TPP for US beef. 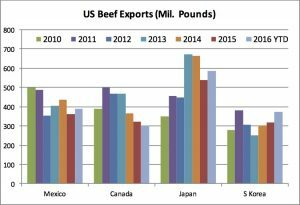 Overall, there has been a US beef trade deficit since 2011, though I would argue this has more to do with a strong US dollar and high domestic cattle prices. 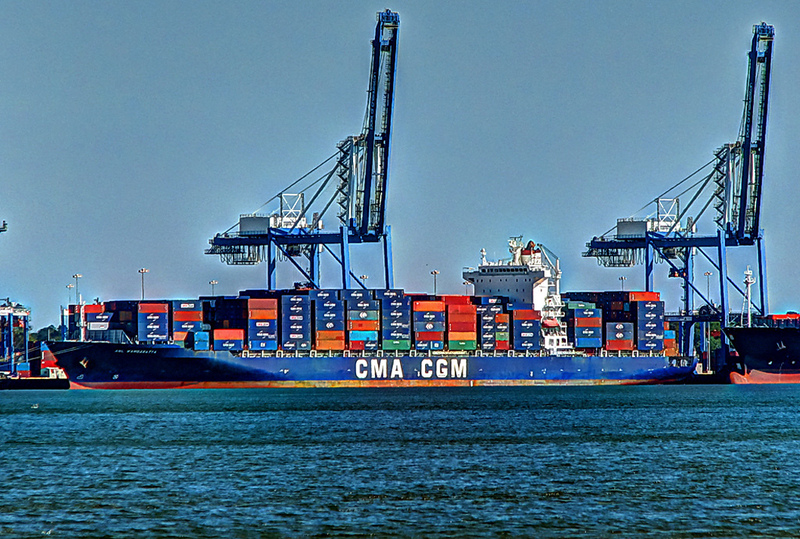 Projections from the WADSE predict the equalization of imports and exports by 2017. However, these projections do not account for the deal with Brazil or the reopening of trade with China.